However, after just a few weeks playing at the Aldwych Theatre, an announcement has been made to bring the play's closing date forward by a few weeks, meaning that "Cool Hand Luke" will make its last wager on 19th November, instead of January next year. Maybe there's an egg shortage, all of a sudden or Luke is just not cool enough! Either way, this does mean we have a bit of good news for those contemplating going to see it - cheaper seats! 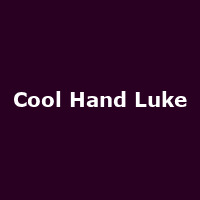 The Special Offer is: Book tickets to see "Cool Hand Luke" at the Aldwych for up to 28% off by paying £22.50 instead of £31 or £35 instead of £46. The offer covers all performances until the production closes on 19th November - click on the Book This Offer button below for availability.